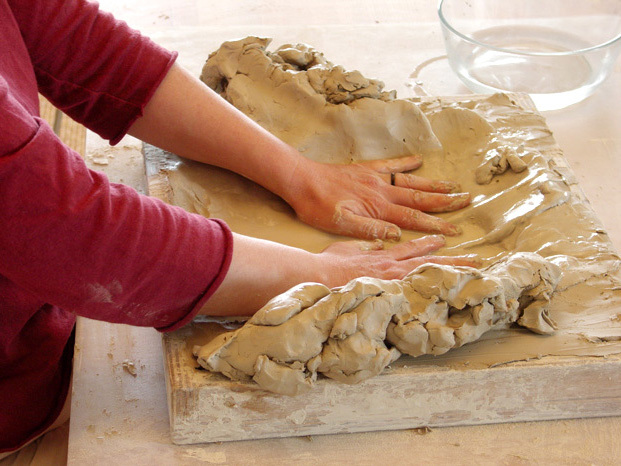 The effectiveness of the method is based on haptic perception, the perception through touch. To date, haptic perception has hardly been recognized for its psychological and therapeutic significance. 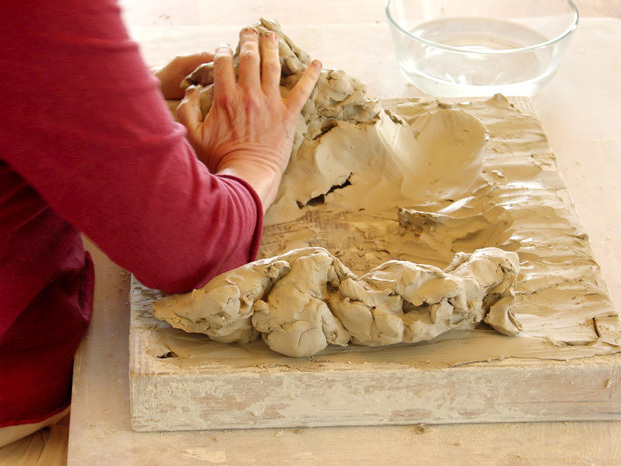 Work at the Clay Field focuses on our innate ability to discover relational and experience-based events, in which individuals understand themselves and their world. Such experiences, even those of an earliest nature, are stored in the body-mind and find individual expression within movement. 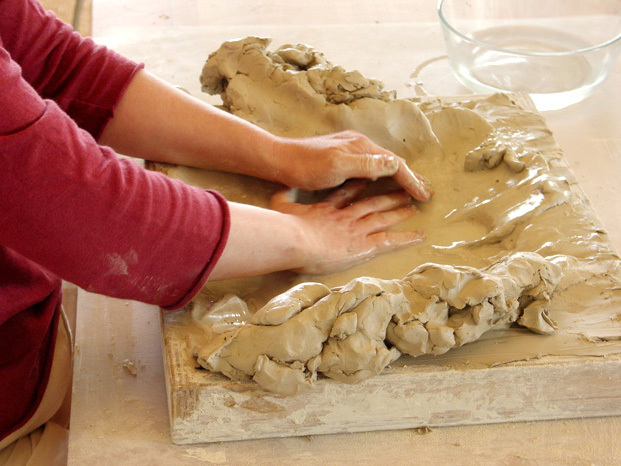 Each movement with touching the clay field contains and repeats biographical relationship patterns – patterns of encountering the world and of relating to it. "Movement becomes form" is one of the underlying principles of this method. 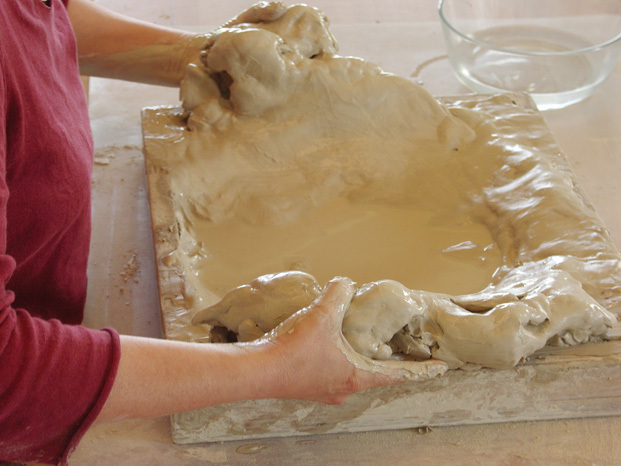 Whatever movement gains shape in the clay can be followed up again as a movement and in the course of the process can be further developed and changed. 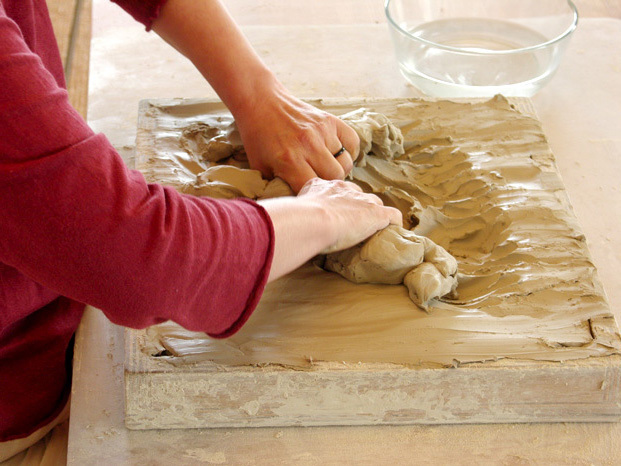 Work at the Clay Field is not symptom-oriented but development-oriented. This means that the specific problem or crisis is not the focal point, rather the option to discover new awareness and solutions through ones own inner movements. 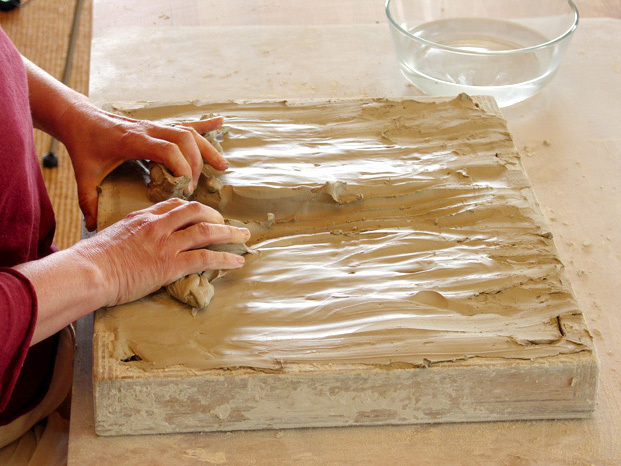 Professor Heinz Deuser founded Work at the Clay Field in 1972 and continued to develop it further ever since.